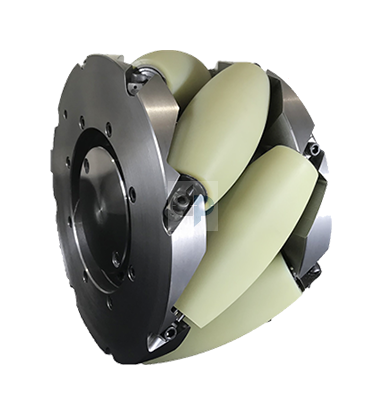 The Nabtesco RVW AGV Drive Unit is an integrated in-wheel design incorporating a Reliable Precision Reduction Gear RV inside of a Mecanum Wheel. It allows high precision positioning for high precision processes while saving space. 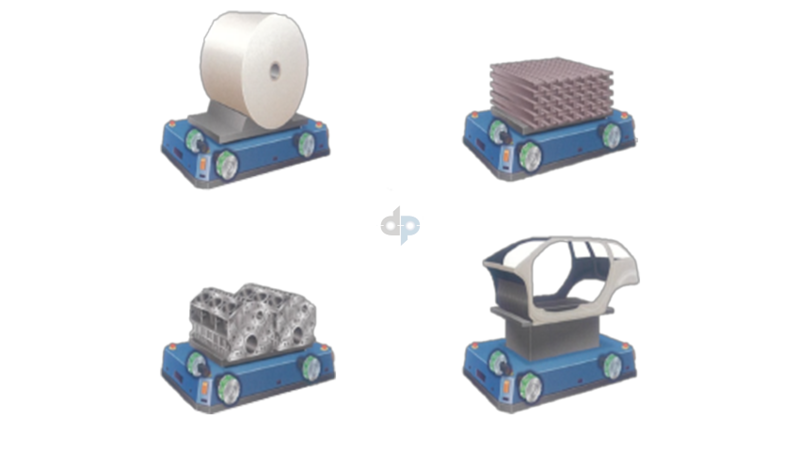 A unit load AGV is a powered, wheel based transport vehicle that carries a discrete load, such as an individual item (e.g. a large roll of paper, coil of steel or automobile engine) or items contained on a pallet or in a tote or similar temporary storage medium. AGVs operate under computer control without the need for human operators or drivers. They are employed in nearly every industry, including pulp, paper, metals, newspaper, and general manufacturing. Transporting materials such as food, linen or medicine in hospitals is also done. The RVW is compact, and able to support the large loads needed for large-payload AGVs and all major servo motors are supported.